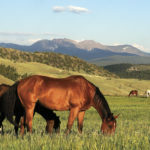 Indian Hills is one of the lovely hidden communities in our mountain area that has horse properties. There are a variety of property layouts in Indian Hills as with the other areas. 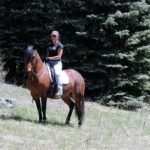 The west trailhead of Mount Falcon Park originates out of Indian Hills for spectacular trail riding (the best trailhead for trailers and horses to enter). Parmalee Gulch Road winds through this area as the main road connecting Highway 74 in Kittredge to the Morrison area of Highway 285. Highway 285 is easily accessible from this cozy community of homes and small businesses and feeds into C-470 just a few miles down the hill. 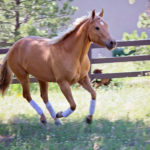 Mount Falcon Equestrian Center is the main boarding facility in this area. Sit N Bull Saloon is a favorite restaurant and bar of locals and non-locals alike. Population 1,280. Indian Hills’ elevation is 6,857 feet above sea level.